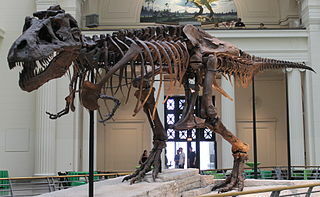 Sue, the largest and best-preserved Tyrannosaurus rex fossil skeleton, was discovered by Sue Hendrickson in South Dakota in 1990. Sue is 42 feet long and probably weighed 6.4 tons when alive. After a dispute over ownership was solved, she was sold to the Field Museum of Natural History in Chicago, Illinois. Children could learn more at the Museum’s website at: Sue. 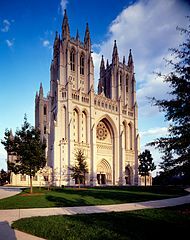 Washington National Cathedral cornerstone was laid in 1907. Construction was completed on this day in 1990. The building was damaged by the August 23, 2011, earthquake; repairs continue to be made. Helen Keller’s and Ann Sullivan’s remains are interred there. Children can learn more at: National Cathedral. Germany celebrates Unity Day. East Germany and West Germany had been two separate countries for 45 years. When they combined in 1990, they took West Germany’s name, the Federal Republic of Germany. Slightly smaller than the state of Montana, Germany has a temperate climate. Over 81 million people live there, and Berlin is the capital. World Wide Web trial run was first successfully conducted in 1990. The Internet and the World Wide Web are not synonymous. The Internet is the hardware and systems, and the World Wide Web is the data that browsers allow us to exchange. Tim Berners-Lee in 1990 developed Hypertext Transfer Protocol (HTTP), a way for computers to talk to each other. Others developed browsers to make the process easier. The WorldWideWeb, originally its name, allowed the use of the Internet to increase exponentially. Berners-Lee, a British citizen, was knighted for his work in 2004. A timeline of computers and their uses can be found at: http://www.history-timelines.org.uk/events-timelines/07-computer-history-timeline.htm. Namibia celebrates Independence Day. 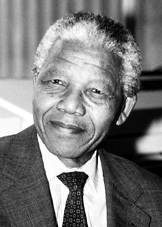 It declared itself free from South Africa in 1990. The Kalahari Desert is one of the geographic features of this fairly large (about half the size of Alaska) country. Windhoek is the capital. About 2.2 million people live in Namibia, and many of them depend on mining for jobs. The country is the world’s fourth largest producer of uranium, and diamonds and zinc also contribute to the economy. 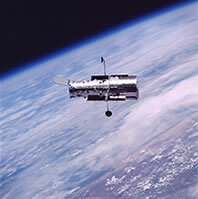 Hubble Space Telescope Celebrates Its 28th Birthday Today! Atlantis, an American shuttle spacecraft, was launched in 1989. It successfully deployed Magellan, which traveled to Venus to map the planet’s surface. Magellan encountered Venus on August 10, 1990 and began taking pictures. It continued to photograph the planet’s surface until October 13, 1994. Yemen celebrates Unification Day. In 1990 the Republic of Yemen and North Yemen united to form Yemen. This Middle Eastern country is about 1.4 times the size of California, and the geography is mostly desert. About 25.4 million people live there, mostly along the coasts and western portion. The country depends on petroleum reserves, and Sanaa is the capital.